A Dinner For Ashley & Kelly. 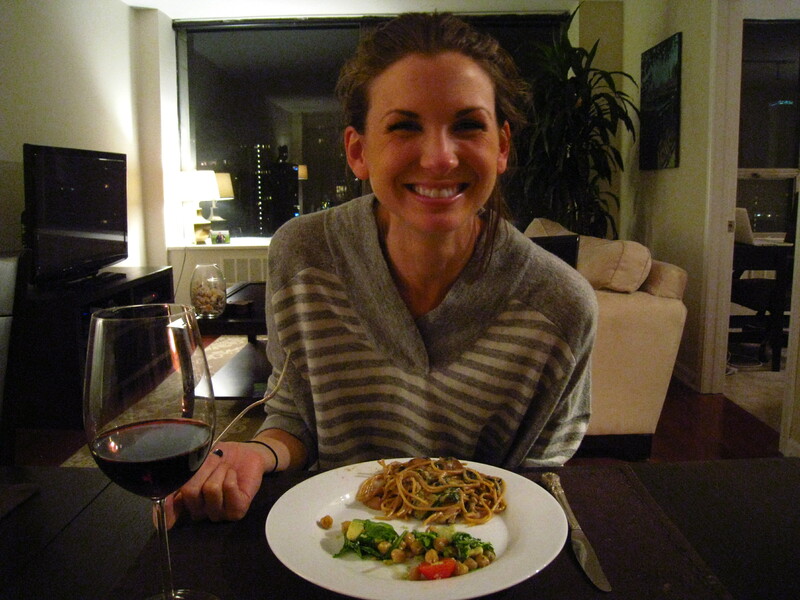 One of my best friends, Ashley, just got engaged, so to celebrate I made dinner for her and our friend, Kelly. 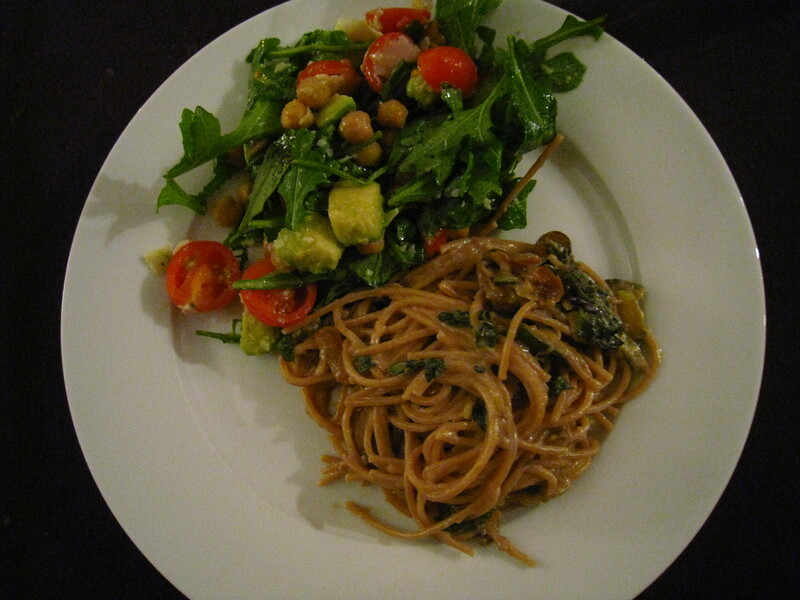 I wanted to make something vegetarian so I chose a pasta dish made with hearty vegetables and paired it with a light and fresh salad. 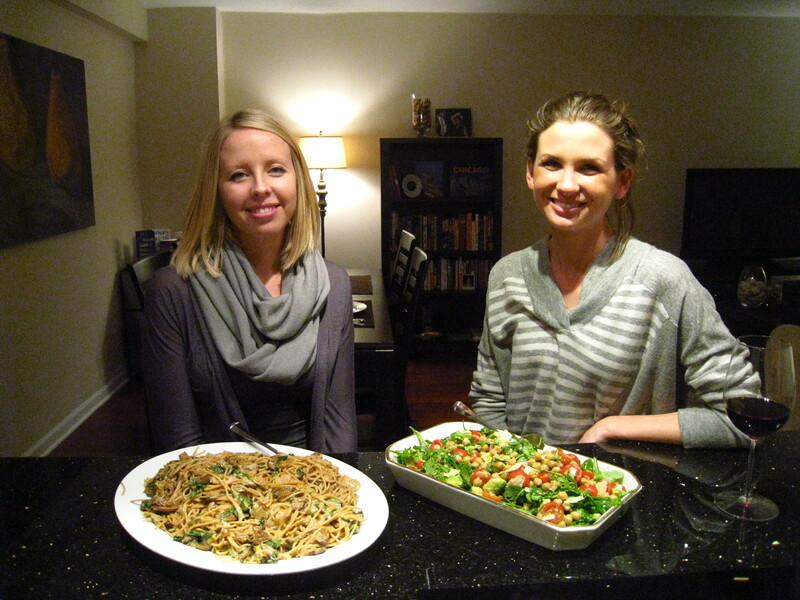 It was a great night with great friends… and the food was a hit! Heat a pan on medium-high heat and add the drained garbanzo beans (no oil needed) and cook for 5-10 minutes until they looks slightly dried out and toasted. Lightly season them with garlic salt and black pepper and then remove from the heat. While they are cooling, combine 1 tsp crushed garlic, the juice from 2 lemons, 3 tbsp olive oil and salt/pepper in a small bowl and mix well. 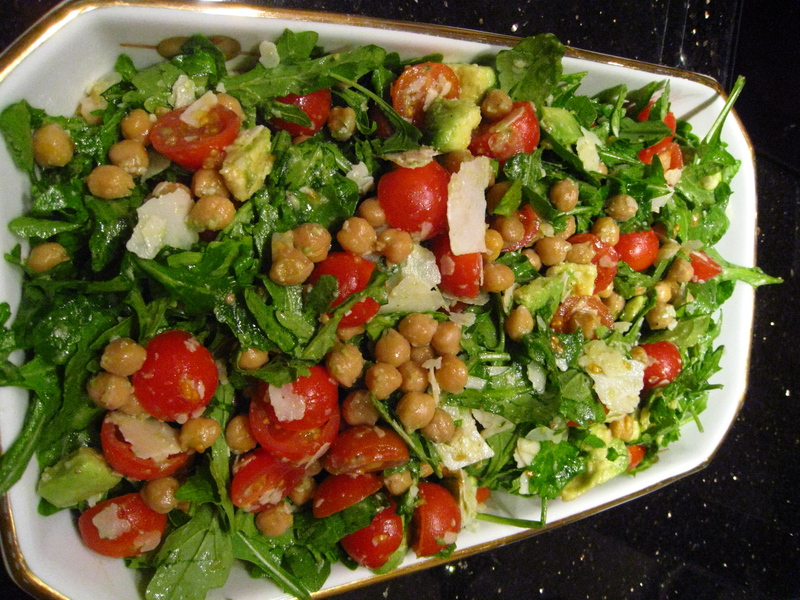 In a large mixing bowl, add the cherry tomatoes, avocado, arugula and garbanzo beans. Toss the ingredients together with the dressing and shaved parmesan. In a large pan, heat 2 tbsp olive oil on medium heat. Add 1 tbsp crushed garlic and the diced onion and sauté until the onions have become a translucent color. Then add your zucchini, mushrooms and eggplant and continue sauté medium heat. Put a lid on the pan and cook for 10-15 minutes. 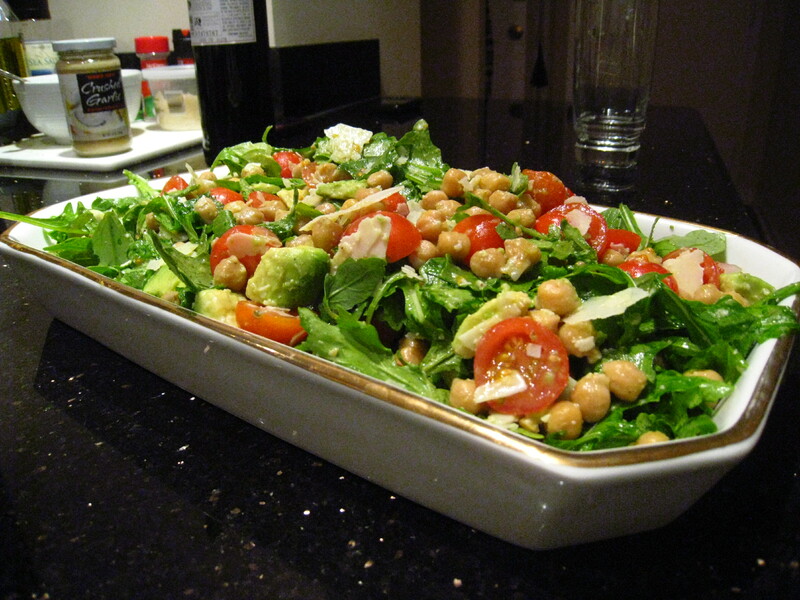 After vegetables have browned and condensed, turn the heat on low and keep the lid on. While the vegetables are heating on low, cook your spaghetti as directed on the package. 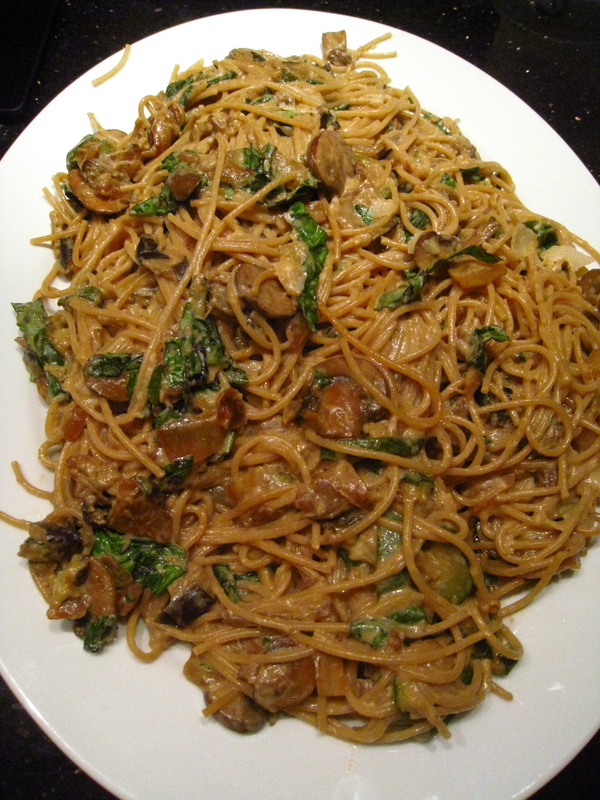 After the spaghetti is cooked, drain all excess water and add the spaghetti directly into the pan with the vegetables. 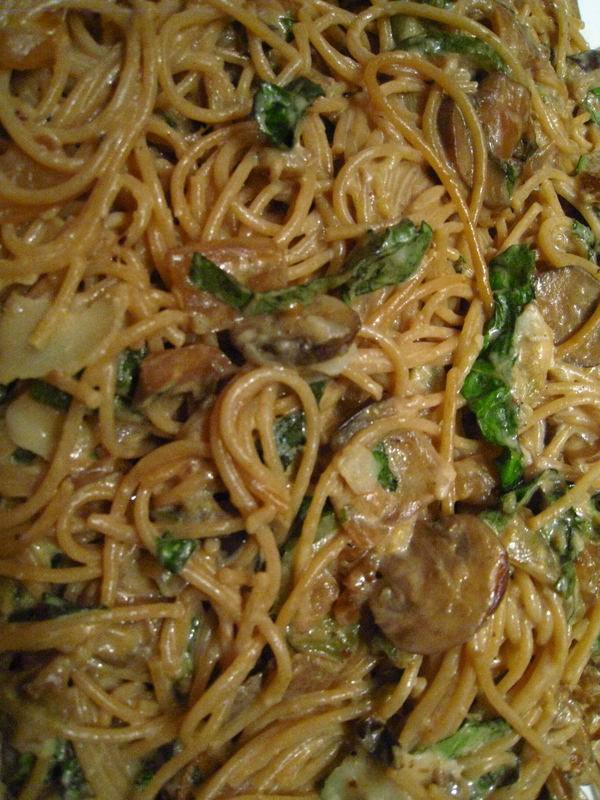 Combine the vegetables and spaghetti together and then mix in the sour cream, parmesan and basil. Congrats to Ashley and Bob! ← FBB Thought Of The Day.